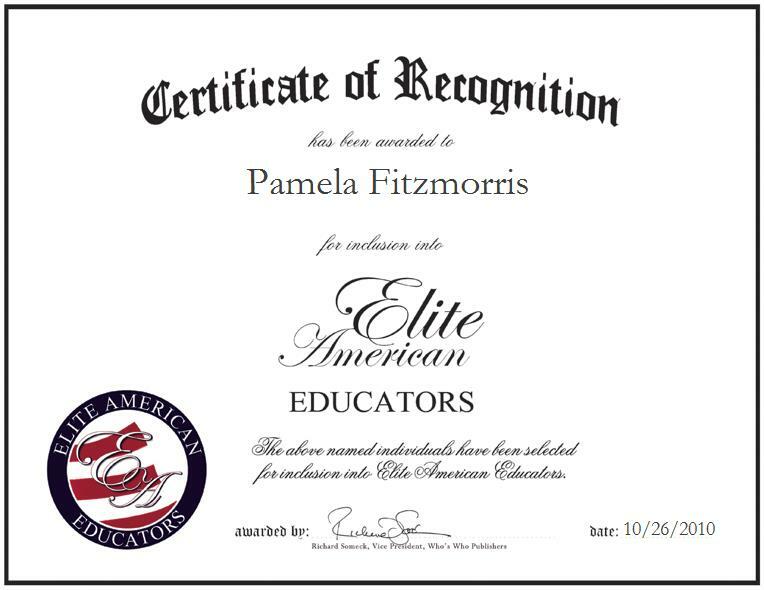 Spencerport, New York | October 26, 2010 | Pamela S. Fitzmorris, Teacher Leader of music at the Spencerport Central School District, has been recognized by Elite American Educators for her accomplishments, achievements, and leadership in all aspects of music education. Ms. Fitzmorris currently teaches at the Cosgrove Middle School. She has been in her profession for over 25 years and she is most gratified when her students succeed.